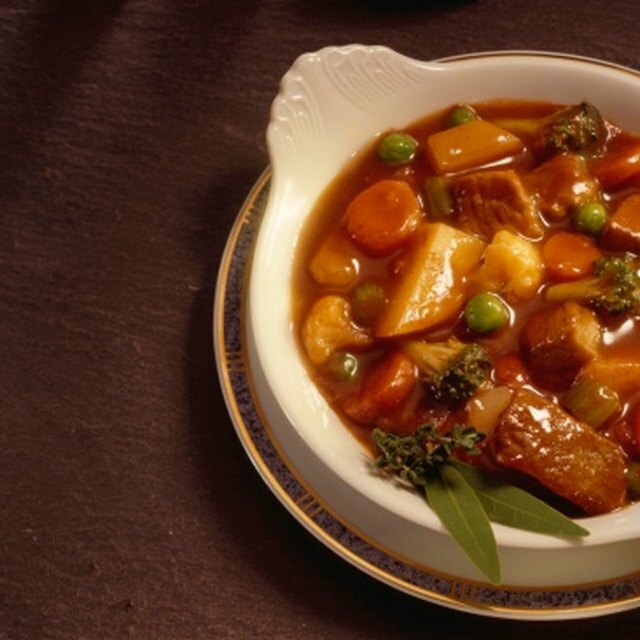 What Type of Meat Is Stew Meat? Moose meat is tough, but it's delicious when cooked right. 1 What Type of Meat Is Stew Meat? 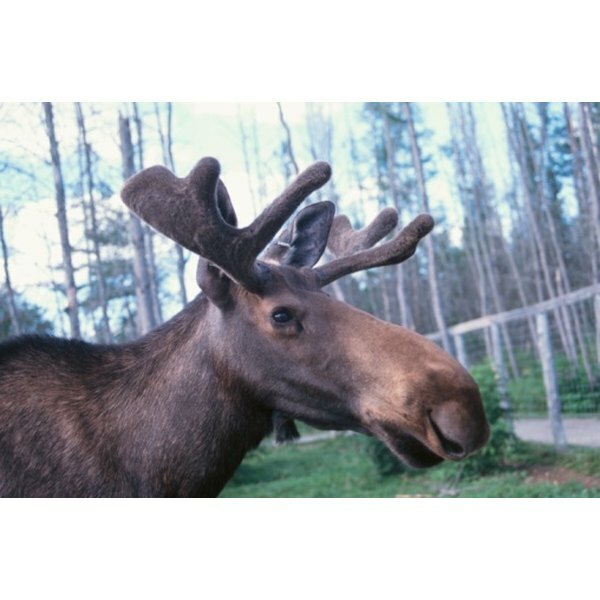 Moose has a lot of connective tissue that can make it relatively challenging to cook. But cooking the meat for a while and hammering it with a kitchen mallet allows it to become more tender. Moose has a gamey yet sweet flavor. It easily replaces beef and is served with many of the same side dishes, such as potatoes, gravy, corn and salad. Place the meat on the cutting board and cover it with plastic wrap. Pound it with the mallet to tenderize it. Slice the meat. Heat the oil in the pan. Add the onions, bell pepper, garlic and banana pepper. Saute until the vegetables are soft. Add the meat. Saute on medium heat until it is cooked through, approximately 15 minutes. Add the stock, paprika and flour. Bring the broth to a boil and then let it simmer for 30 minutes. Can You Cook Food With Seawater?